North to Alaska: Where’s the Easy Button? A garbled voice announced boarding a half-hour later. 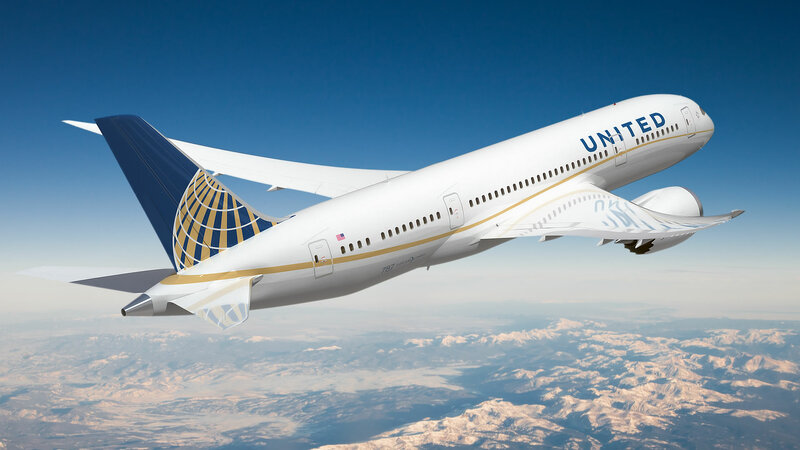 Flying time expected: four hours and 28 minutes at 40,000 feet with a few bumps along the way. We had three flight attendants for our 113-seat Boeing 737. Had I glanced back, I’d have been dumbfounded how few passengers followed. 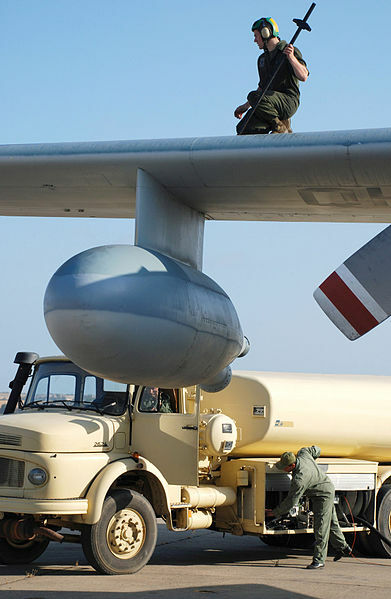 Heads bent forward and shoulders raised, Mary and I scuttled across the tarmac. The weather was cold, the sky overcast, and the air damp. The two-level approach to the plane was longer than the distance from the building to the bottom of the walkway. Airlines overbook, don’t they? We noted many empty seats, only 37 occupied, which meant seventy-six stood empty. How often does this happen? “If there are only two people on board, we will still fly,” the flight attendant said to Mary’s inquiry. This airline must be making good money ‘cause they’re still in business. This brings to mind a news story of the opposite happening and a man was removed from a flight to accommodate a crewmember. 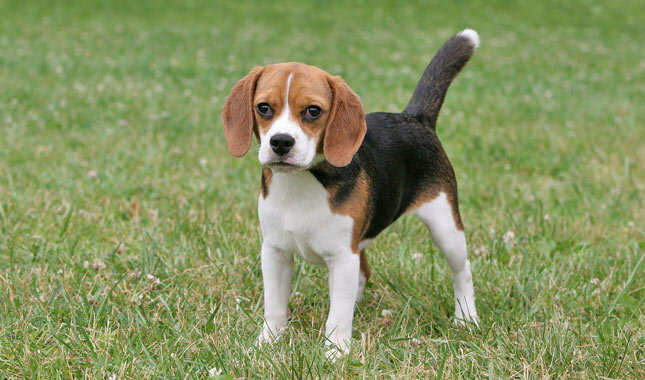 This is not allowed in Canada. 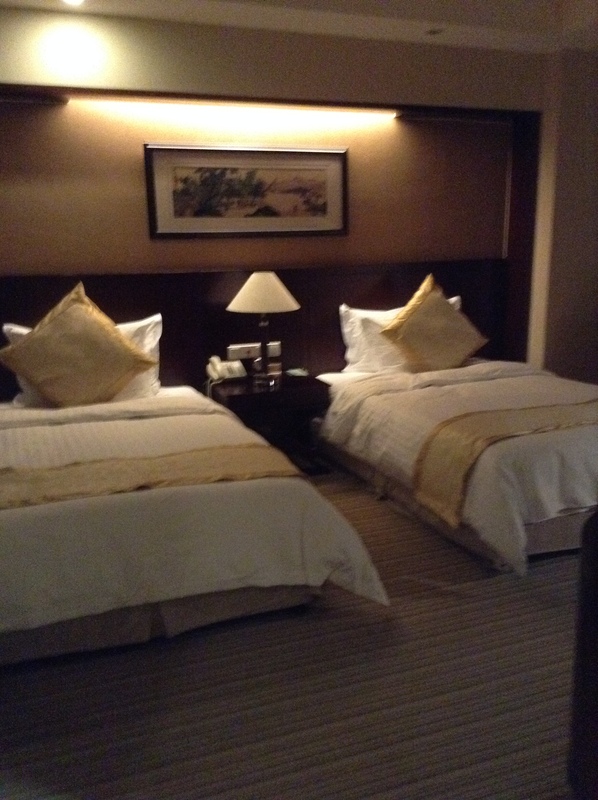 We enjoyed complimentary satellite TV, movies, and drinks, but the water for tea hadn’t been boiled. Yuck. Is it ever? I know the difference and couldn’t finish it. We ordered no bland, over-priced airplane food as I packed fruit and sandwiches from home. Tired, I managed to kill a couple hours dozing but felt I hadn’t closed my eyes at all: they burned, I felt light-headed and punch-drunk. Promising myself I wouldn’t, when nature called I gave in to visiting the loo though I avoid airplane bathrooms with a passion. People have nasty habits. Why do they leave a mess like children in public facilities? Always a relief to arrive safe, our touch down on Mother Earth was quiet and uneventful, likely due to the absence of passengers. We deplaned fine but baggage claim proved nerve-wracking. No flight and carousel numbers posted for long minutes. After a couple walkarounds to all three carousels, the first one showed our flight. Last one on, first one out. The luggage soon pounced through the chute lickety-split. Let the adventure begin. As females will, we found the Ladies and rushed through Arrivals with our bags. Sunglasses-and-light-jackets weather, a cool breeze greeted us outside the airport. A clear view due to few cars parked at the curb, Mary said, “I wonder where Jean is.” Pacing after the cramped sit, Jean and Michael arrived about ten minutes later. Tight hugs and hurried catch-ups, Jean’s hubby loaded the luggage into the van. As previously arranged, we had other plans and did not head for their house. By prior arrangement, Belcarra Regional Park beckoned instead. The clock read approximately 8:45 a.m. Vancouver time—three hours behind Ontario. Had we left from Jean and Michael’s house, our destination would have taken less time. If a road or bridge traversed the water, we’d have made it in minutes, but Michael had to arc a long way around from the airport. As he drove, Jean, prepared as ever, surprised us with mouth-watering Greek mini pocketless pita sandwiches. Mary and I grinned. I can’t recall the delectable fillings snuggled between the slices, but I devoured the treats like a little-used Hoover put to work. Michael suggested a coffee stop but we passed. Good thing, too, because we arrived late for the appointed time as had a number of others joining us. The park covers a vast area with a number of trails and parking areas. It took a couple of misses before we found the right carpark and picnic area. Turned out we weren’t the last to arrive. Someone pronounced everyone present and Jon arranged a digital remembrance of the moment. One trail, considered moderate, stretched (was not circular) 5.5 kilometer forward and back and another one, an additional 5.2 km. A democratic group. You could do one or both. Hadn’t Mary and I just flown four and a half hours from Ontario? The hike sounded fun a month ago when we planned it. Was joining this group a bizarre idea? Categories: come fly with me, holidays, humor, plane, surprise, vacation, Vancouver | Tags: #travelVancouver, Alaska, journey, North to Alaska | Permalink. I had to catch my breath as we rushed through the zoo. 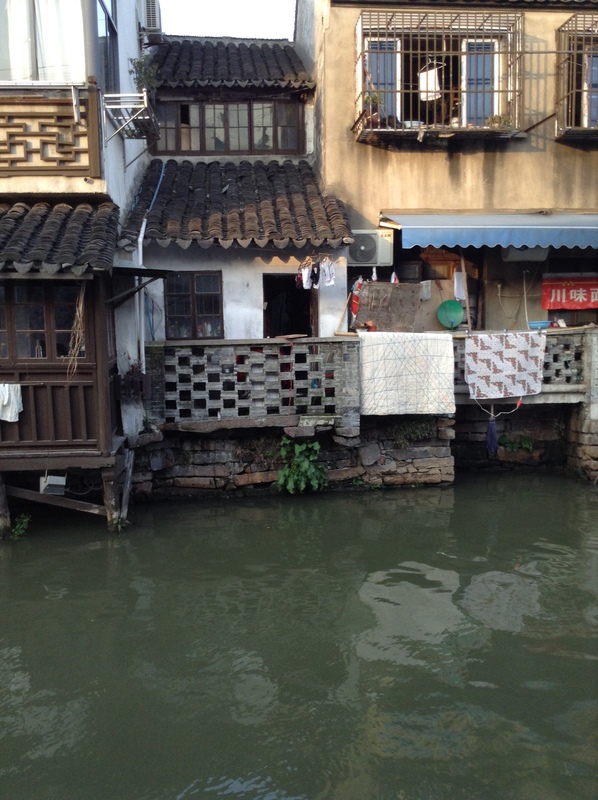 Next on the agenda was a local flight to Guilin. We had to get our luggage checked and be ready to board by 11:10 a.m. for an hour flight. There were no unexpected surprises at the airport this time: no wands shrieked, nor gongs rang; no high-pitched voices nor thumping feet. Everyone had packed properly; no one wore heavy metal except for one tour member’s knee implant. A boxed lunch was served on board again, but I don’t recall what had been on offer. Upon landing, our new tour guide, thirty-something Lily, met us at the airport. She was an attractive young woman, dressed in cold weather fleece pants and jacket. She appeared reserved but approachable. 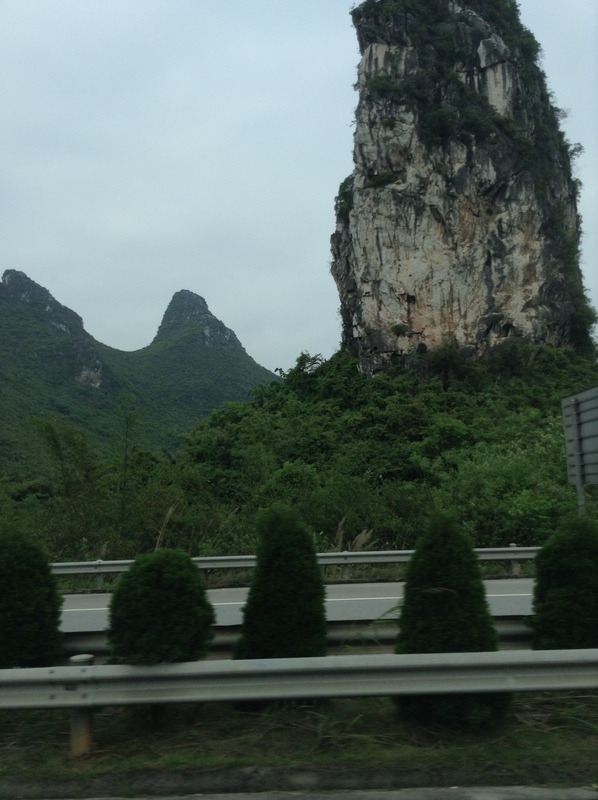 We were surrounded by limestone mountains from the airport to Guilin. What a sight to see. 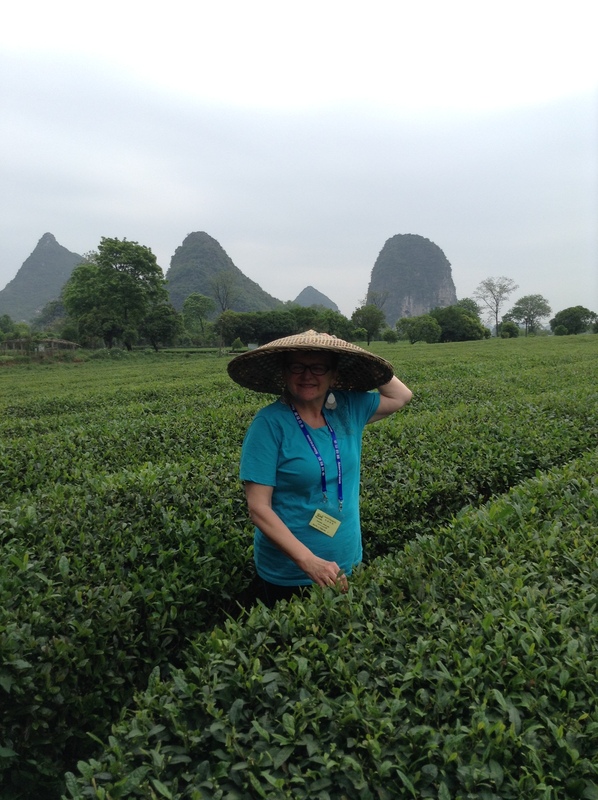 Frolicking in a tea field. I couldn’t balance the hat on my head. We were invited to a tea tasting after the tour. I wasn’t fond of most of it. One couple liked the Pu-Erh tea and bought a box. It wasn’t cheap and looked like a block of tar. Categories: #travelChina, come fly with me, flight, holidays, plane, travel, vacation | Tags: journey, Yangshuo | Permalink. Away from the stalking (however polite) salespeople at the embroidery shop, we headed to a different lunch experience. The atmosphere had a cafeteria look and feel and the tables were communal and banquet-hall length. The following links show better than I can tell. Lunch finished, I visited the Ladies’ Room. Again the men’s and ladies’ washrooms were opposite each other. I recognized the door I wanted by a high-heeled shoe decorating it and the Men’s by a black smoking pipe. 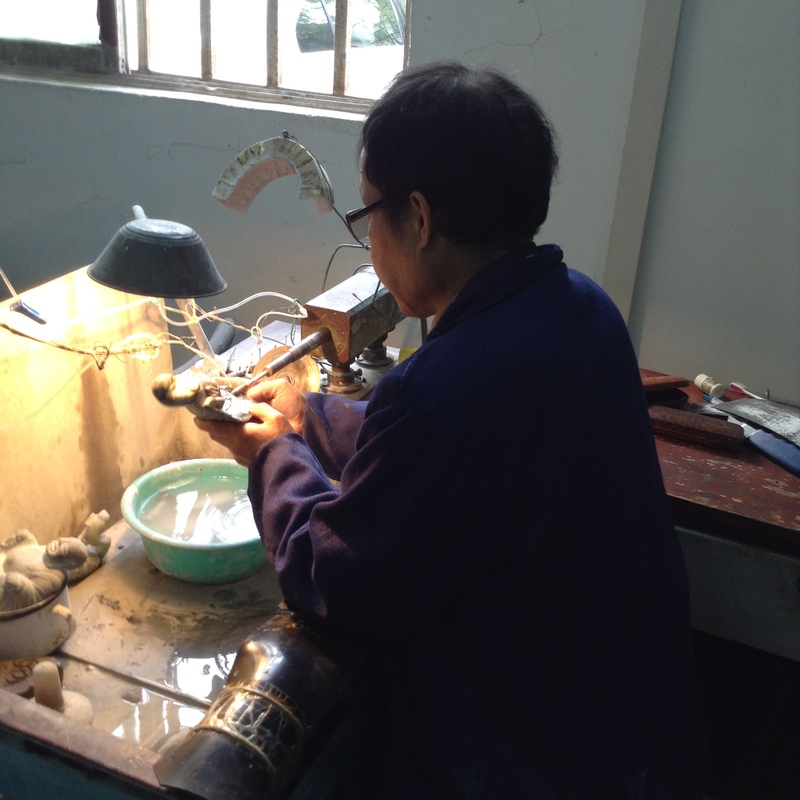 When I prepared to wash my hands later, I found myself at the sink between two Chinese men. Putting my hands beneath the tap, I expected it to turn itself on. Nothing. The man on my right snatched my hands into a firm but gentle clasp and placed them opposite the sensor’s eye. Afterward, my ever helpful minder noticed my indecision regarding the exit and with a gentle nudge, pointed me towards the nearest one. I imagined him shaking his head thinking I was a silly westerner. 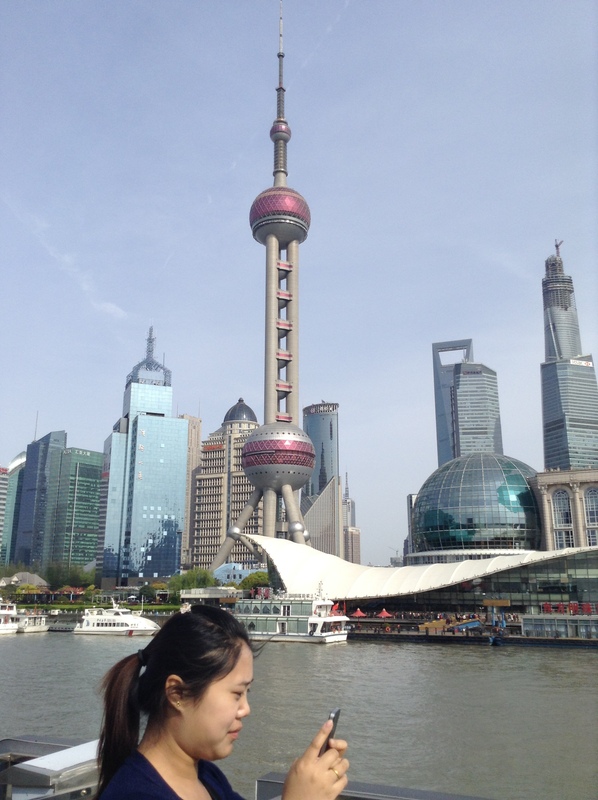 After lunch we headed to The Bund, the financial district with the famous Shanghai World Financial Center (shaped like a bottle opener), and many other unique and grandiose structures. 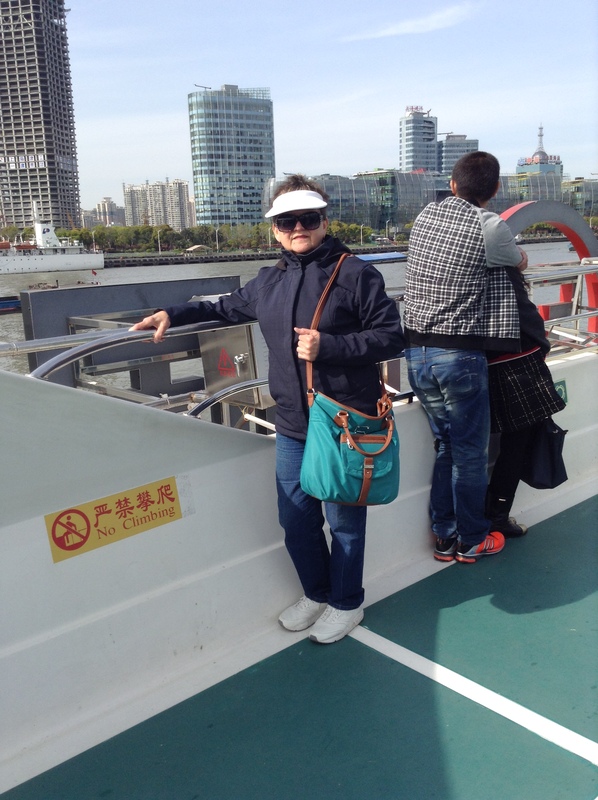 Jackie, our guide, purchased tickets for our afternoon cruise on the Huangpu River, which divides Shanghai in half and is about 70 miles long. We cruised among barges transporting sand, coal and lumber among others for a good hour or so. It was Sunday and a long weekend (Tomb Sweeping Festival). The walkways and pedestrian areas were full of visitors. 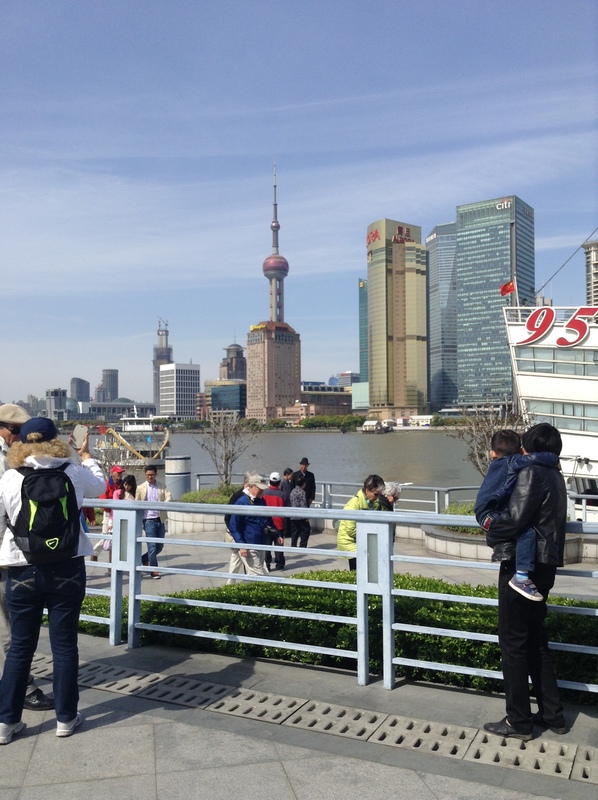 I understand during any good weather, The Bund is a popular place to spend the day with friends. Sue didn’t want to sit outside on the top deck because she thought it would be too cool and windy. I followed her inside to the main floor and we were surprised to be alone. We grabbed a table in a snack area marked V.I.P. Ever observant, we then noticed a doorway leading to the cruise ship’s bow, enclosed with wraparound windows. We couldn’t believe our luck. No-one to bother us, cushy chairs and our own private ship. Within seconds an attendant came in and we were forced out and ended up outside anyway. To the untrained eye I suppose we didn’t have that V.I.P. aura. 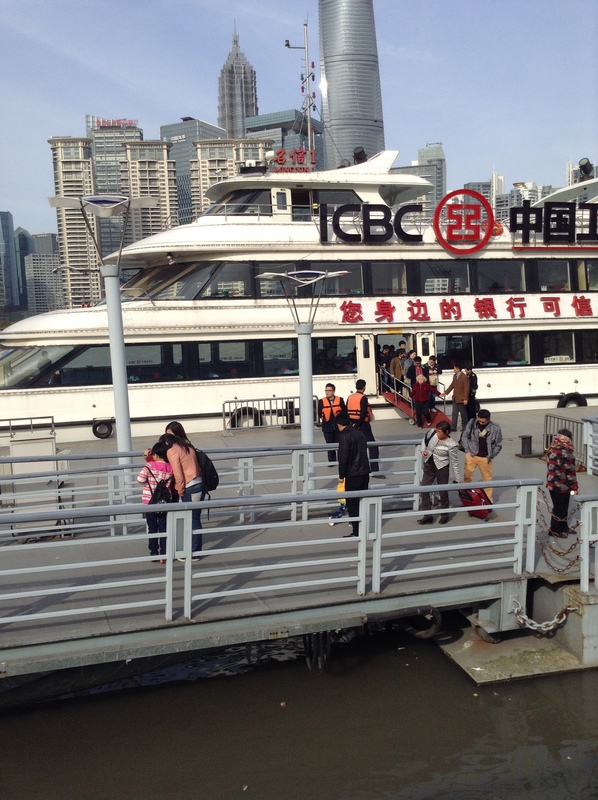 Categories: #travelChina, China, come fly with me, holidays, lifestyle, Nanpu Bridge, travel | Tags: Huangpu River, Shanghai, The Bund | Permalink. At home, my regular breakfast consists of a small container of yogurt, a hard-boiled egg, and coffee. 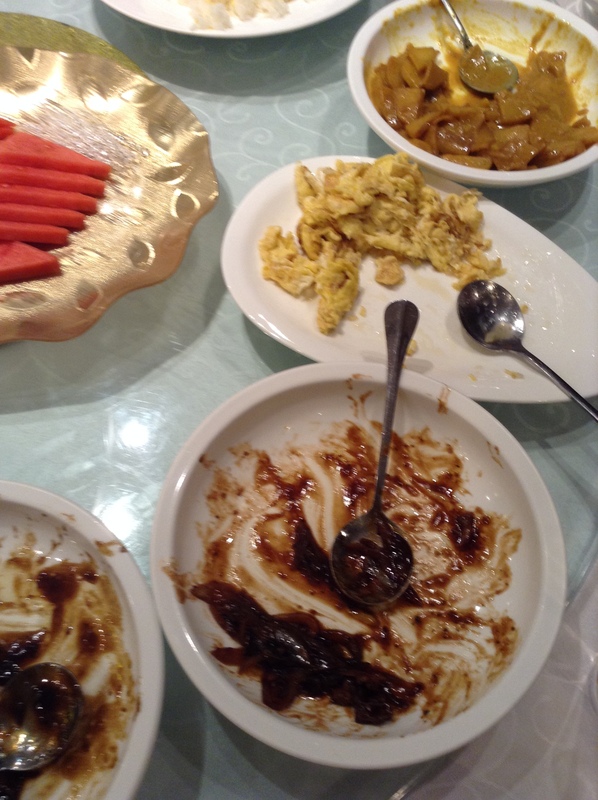 From the first morning after our arrival in China, I ate breakfast as if it were my last meal. I even sampled more than one kind of roll although I rarely eat bread. An extravagant buffet breakfast is not easy to ignore, but I believe I burned all those calories during our days of walking and climbing and walking some more. I bet hoisting myself up into the bus consumed 1,000 calories, easy. Sue checked her rash but it still had not improved and her legs and feet were still swollen. There was no pain and she was satisfied with that. 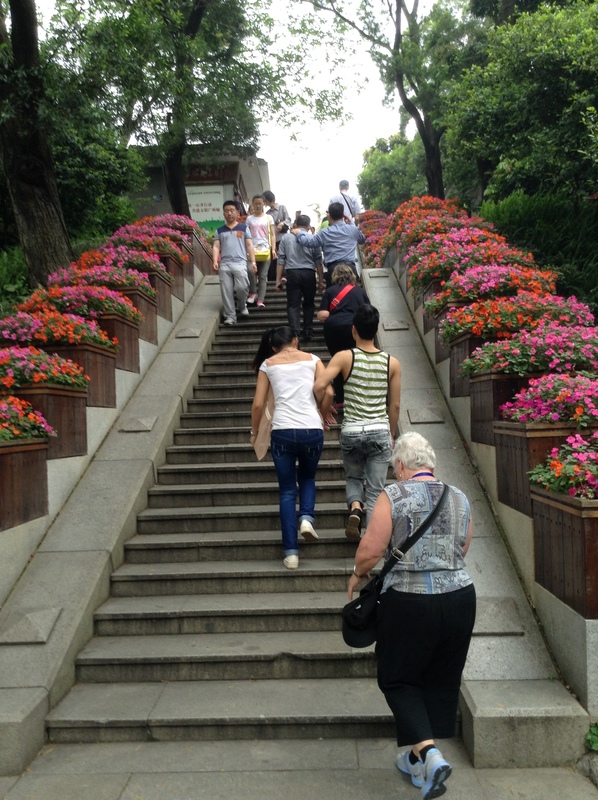 We started the day early to avoid crowds at Liu Garden, which Jackie, our guide, called The Lingering Garden. Upon entering the grounds, instructions about time and meeting location were dispatched immediately. “If you need the Happy House, it is there.” Jackie waved in the direction of a low building. We squinted with pinched brows. What? “Happy House is toilet.” He checked the screen on his cell phone and was gone. We were on our own to wander as we wished. Again. Lingering Garden – Suzhou© All Rights Reserved. Used by permission of RJ, a member of English 8. The garden was small, neat and clean. It seemed there’s no such thing as early. Paths and passages were tight in spots and we had to wait for a turn to pass. We rubbed elbows with lots of other visitors. Lorena lost us when she stopped for a photo opportunity. Not successful in finding us, she headed back to the parking lot where the buses were parked. She saw the French Group’s guide, who then called Jackie and he joined us up together again. Back on the bus, we settled in for a two-hour ride to Shanghai passing the time napping or talking, sometimes asking Jackie questions. Once again we were treated to a tourist wonderland of Cashmere / Pashmina factory shopping. The sweaters, shawls etc. didn’t interest me. I noticed the men’s pained faces as if they’d been lined up for a firing squad. Before we left the factory, a museum stop on the schedule was voted down in favor of more shopping time at the bazaar in the afternoon. Jackie suggested this was a great place for picking up knock-offs which are illegal everywhere. The men’s faces drooped. 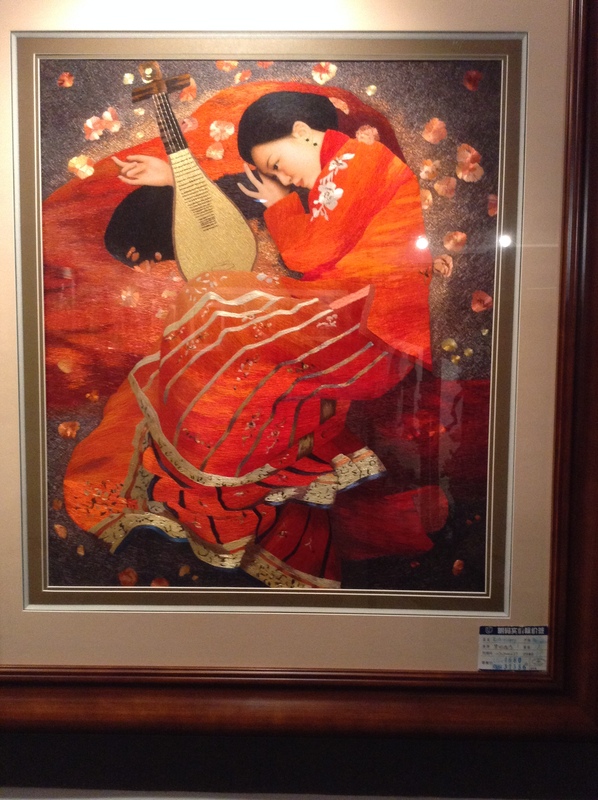 This work is amazing embroidery anyone shall ever see. Some work is done in 1/64th thickness of a silk strand. Hard to imagine. I wonder if the workers have good compensation when they go blind. Even with my nose an inch from the finished product, I could have sworn these were paintings. Some were three dimensional; the fur on some animals was ultra realistic and breathtaking. I couldn’t help reaching for it. Jade is highly valued, therefore this is the highest compliment you can pay someone. 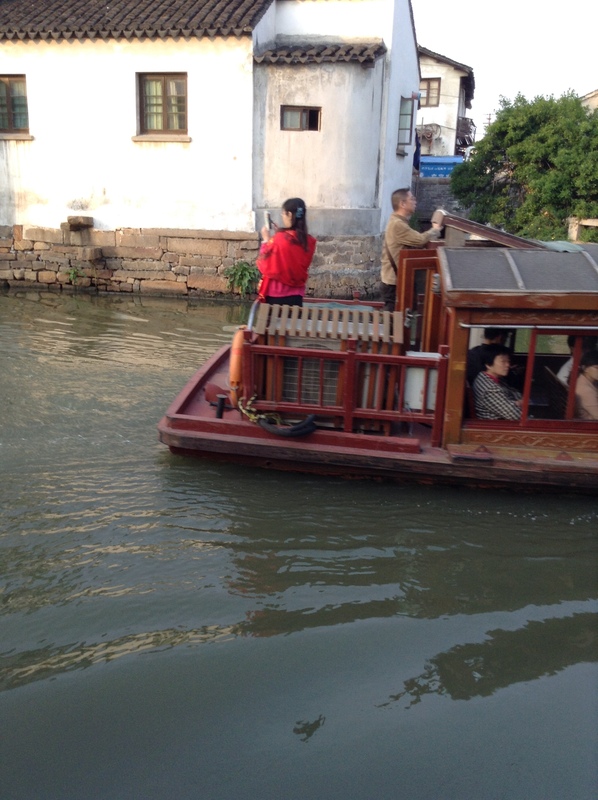 Categories: #travelChina, calories, China, come fly with me, food, holidays, lifestyle, Suzhou, travel, vacation | Tags: journey, Shanghai, Suzhou | Permalink. 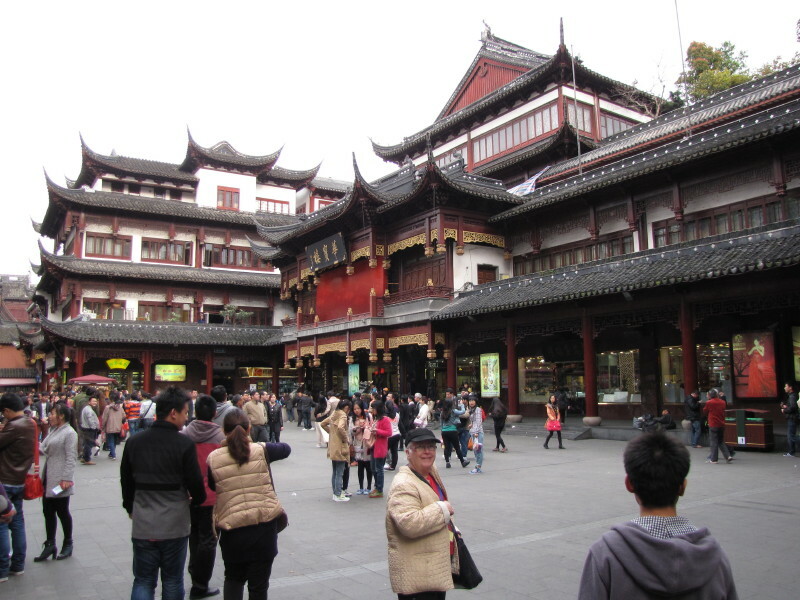 Our first stop in Suzhou, a quaint, little town with a population of 3.8 million, was at the Old Town Market. The bus parked, we followed close behind Jackie to a busy crossroad where he pointed to either side of the busy street. On one side we could visit the old town market. 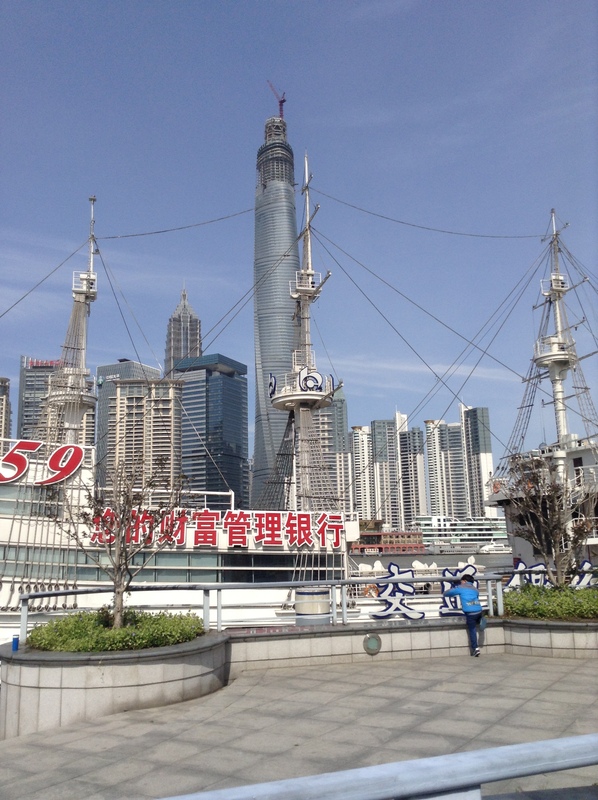 On the opposite side was a more modern, touristy shopping area. At last, we were allowed to roam as we chose for a couple of hours. We were to meet at a designated area at 6:00 p.m. I joined up with Bonnie and Russ and we headed to the market and a whole different world: open stalls, sidewalk displays; elbow room only and brisk exchanges of money and goods. No health concerns were in evidence. 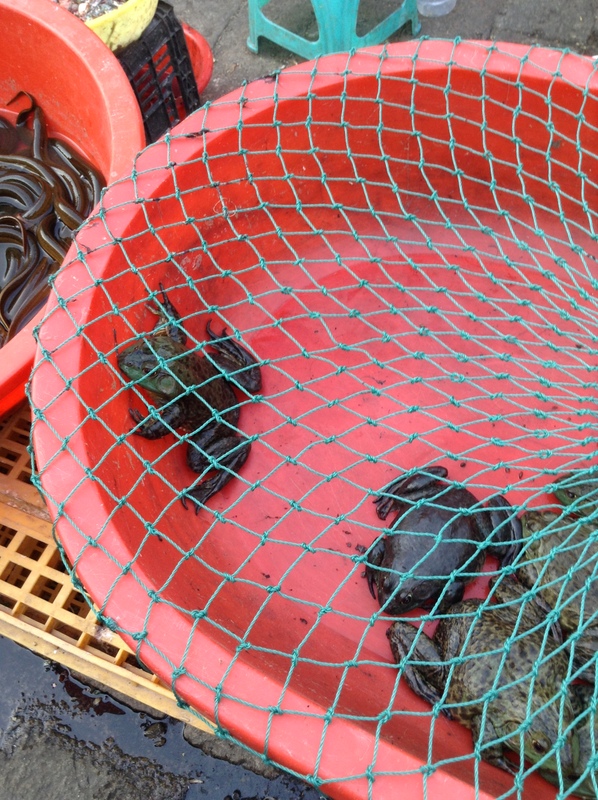 We saw small squirmy fish; large fish in shallow tubs of (cloudy) water; frogs; eel; cut-up pig parts with skin on and live chickens, As well, there were shoes, fabrics, and all types of outdated (to us) clothing. If you were hungry hot food was available as well as unrecognizable vegetables. These people were poor. 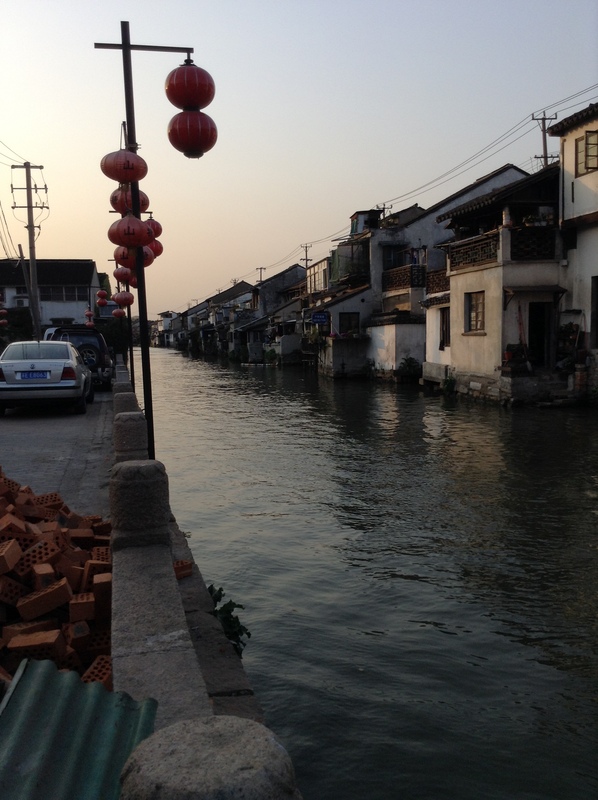 We walked through the market and crossed over an old bridge to the other side of the canal. Talk about being thrown back to another time: a world of bicycles and mopeds, old shops, dank houses with peeling paint hanging over the river, some with neither a stoop nor steps. I imagined someone opening the back door and falling into the water. Oopsie. The water wasn’t clear and inviting. Small river boats were kept busy as one after another appeared. 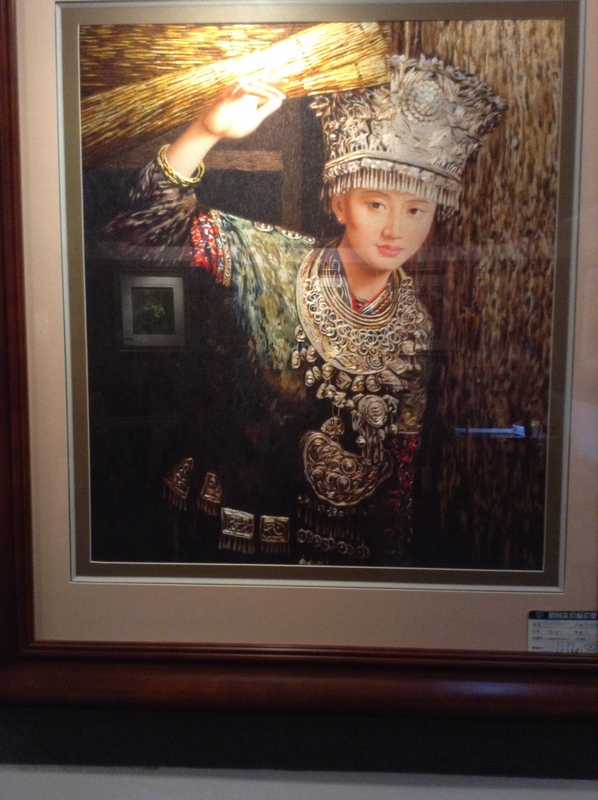 We wandered into a shop and found paintings and hangings of the same bridge we’d crossed, as well as many recreations of past times at this location. With a little time to spare, we wandered across the road to the newer, touristy section but it was of little appeal. Pizza Pizza, McDonald’s, KFC are not plentiful but not unusual. I had to take a picture of this, though, my first sighting. On our way to the bus and the hotel, I realized how much we’d covered this day, including the flight. My stomach rumbled and my feet wanted a rest. Thirty minutes late, we food was ready. Our hotel was gorgeous and the room attractive, but the shower leaked. The sink and toilet were Koehler brand and I noticed either the door or the door frame in the bathroom were not plumb. 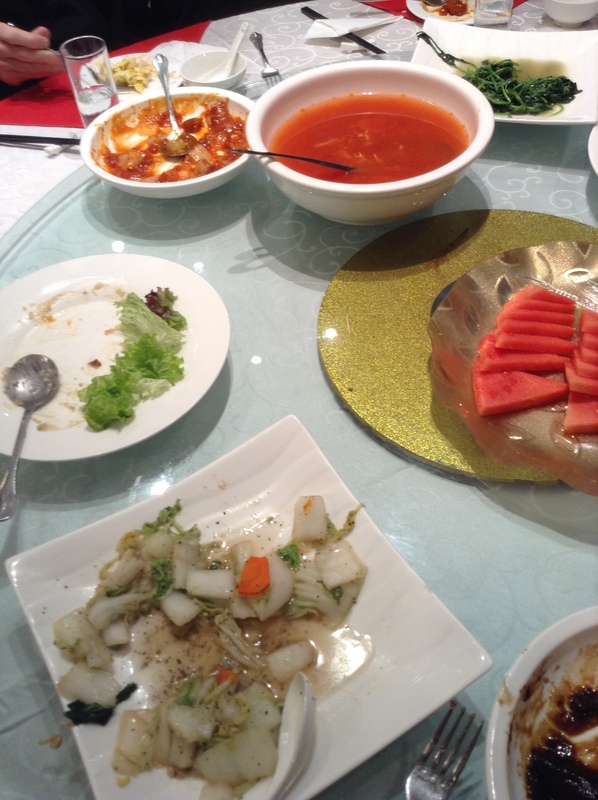 Chinese will eat anything with legs except a table; anything that flies, except a plane, and everything that swims, except a boat. 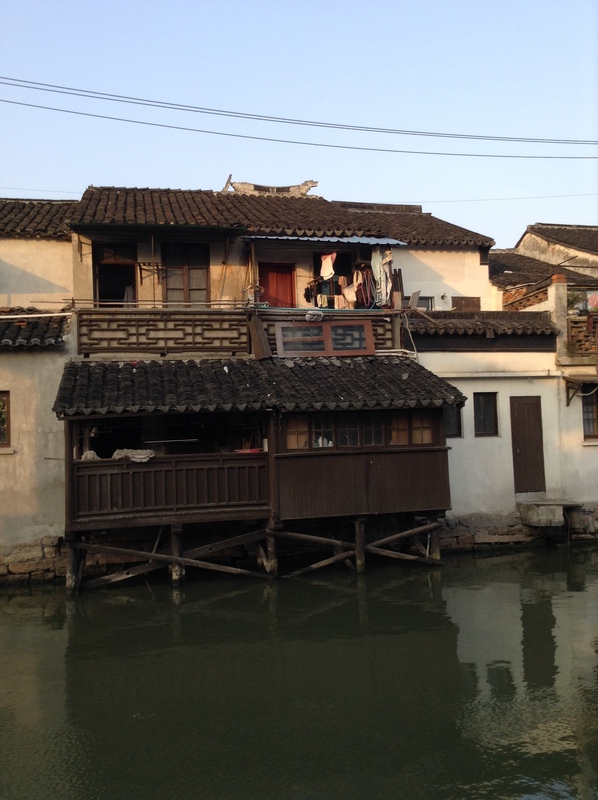 Categories: #travelChina, China, come fly with me, holidays, lifestyle, Suzhou, travel, vacation | Tags: journey, market, Shanghai, Suzhou | Permalink. The day began at 5:00 a.m. and not on a good note. Sue hadn’t slept well and we had no hot water for showers. I didn’t bother, but Sue did. My hair needed washing so I stuck it underneath the tap. Brr. Cold. We’d been instructed to leave our luggage outside the door before 7:45 a.m. As Sue pushed hers against the wall I rolled mine over the thresh-hold and—slam—locked us out. Down to the front desk and back up again. We were relieved to return with the assistant manager and her life-saving master key. Our purses with passports and money were still there. Whew. We reported the cold water situation to save the next visitors the headache. The pieces carved out of jade were fascinating; the workmanship astonishing with delicate and intricate detail but too expensive for me. I don’t need jade jewelry either and certainly don’t have room for anymore dust collectors. I’m trying to down-size collectibles. Bonnie and Russ bought a tricky jade piece featuring five (or seven) balls, one inside the other, which were all movable, but do not come apart. 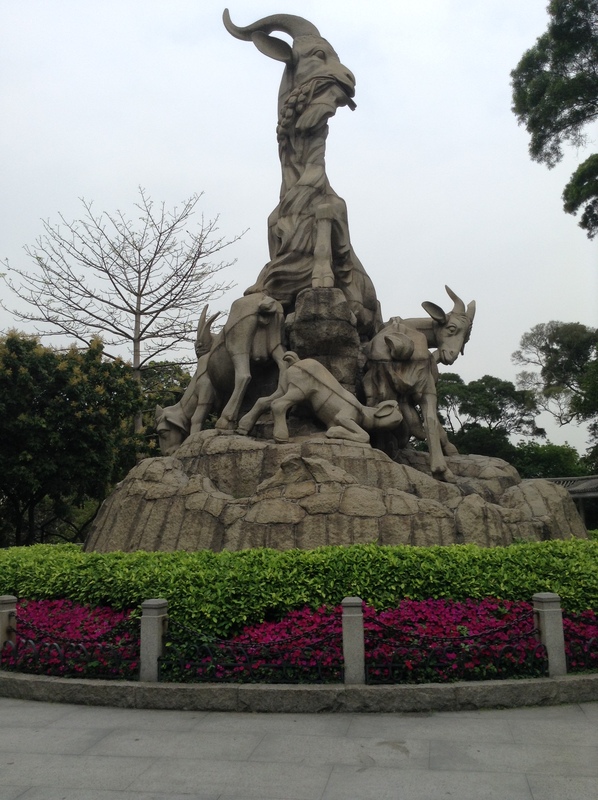 We headed to the airport after the Jade romp to catch our one-hour-and-forty-five-minute fight to Souzhou. At securit,y two suitcases from our group set off alarms. Jim had one of the problem suitcases and Russ the other. Scanning revealed 15 or so ‘A’ batteries stored in his luggage were the culprits. The last flight he’d been told to store them there. This time, they were pulled out and he was advised to them into his carry-on. I’m not sure what problem Jim had. A screaming baby must have fallen asleep. We finally boarded at 12:30 p.m., taxied and lifted skyward. Lunch was served on the plane. The Stewart threw (not dropped) the boxed meal onto my table. He moved so fast, some noodles spilled into my lap and he didn’t even notice. Not a good day for him either. Other than the spilled noodles, I don’t remember eating. Upon landing, I reached for my carry-on in the overhead. By accident, my hand landed not on top of the seat in front of mine, but on the head of the man who sat there. What a fuss he made. You’d think I’d assaulted him. The Chinese language, when the speaker talks loudly sounds enraged to me. I used my most soothing voice to apologize. He didn’t need to understand the words. Wouldn’t you know, I had him on my radar all the way into the airport. While Chinese people appear to invade your space in a crowd and fill any available space, they do not touch anyone around them. We were met by, Jackie, a new guide, a tall, attractive man of thirty-eight with an easy going style and a great command of English. 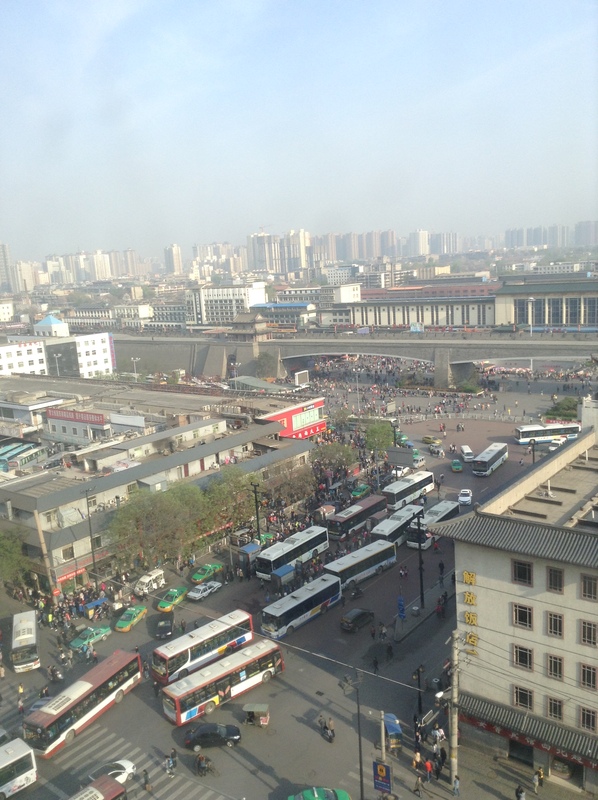 The bus ride to Souzhou took a couple of hours. 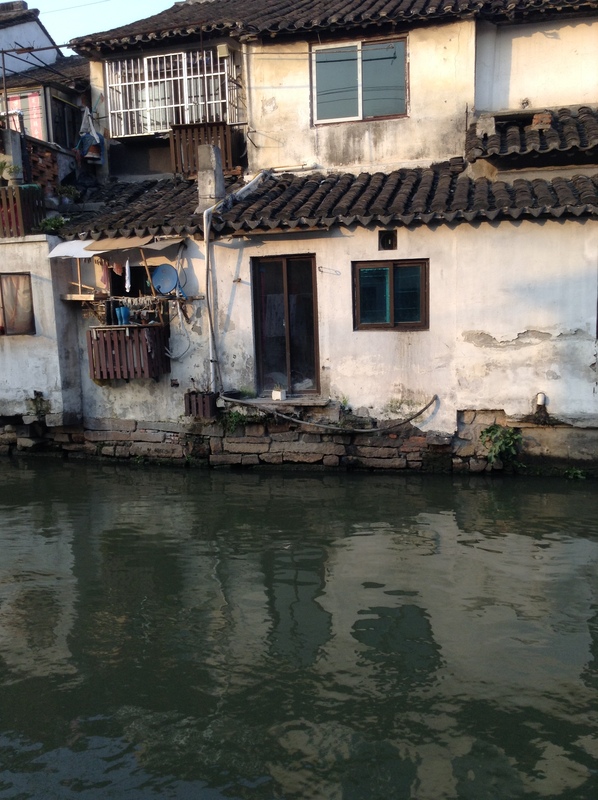 The city is known as The Garden City or Venice of the East because of its many canals. 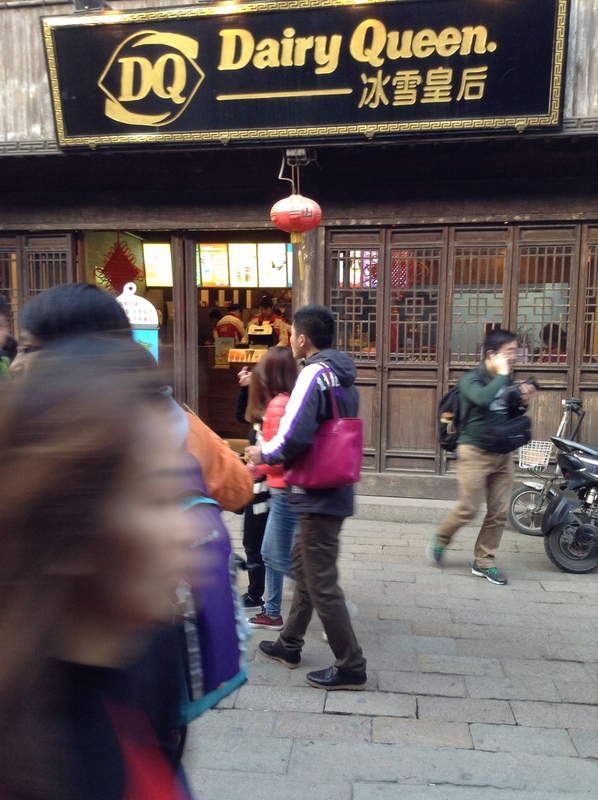 Next on May 19 – Suzhou: Part 2 – Old Town Market (lots of pictures). 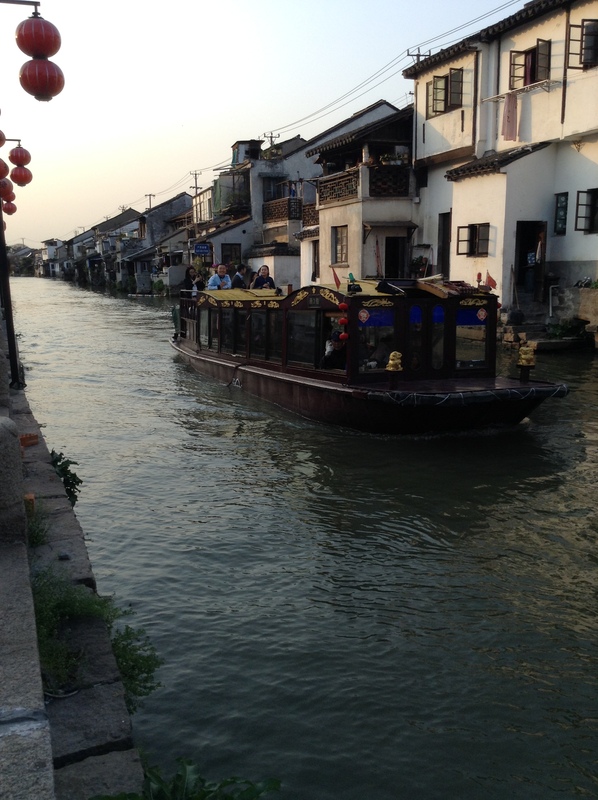 Categories: #travelChina, China, come fly with me, flight, holidays, plane, Souzhou, travel, vacation | Tags: Souzhou, The Garden City, Venice of the East | Permalink.